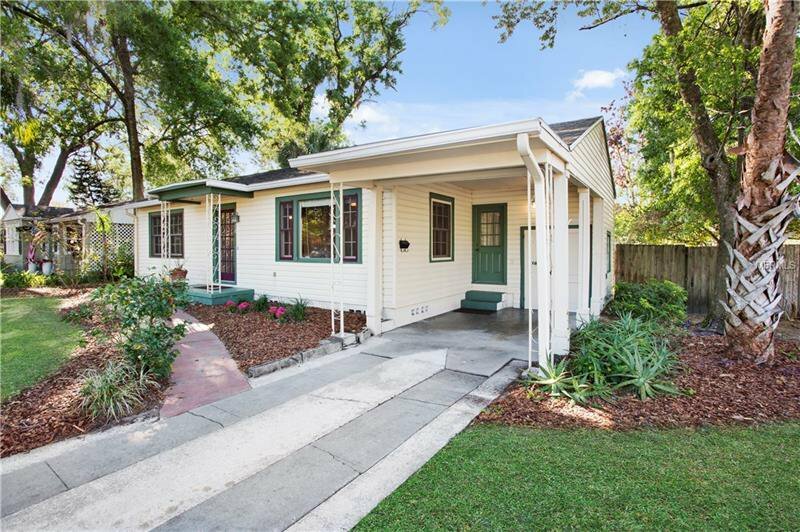 Charming 1949 Florida bungalow on a highly desired corner lot, with beautiful original oak floors in the main living area, traditional plaster walls, and arched doorways. Open kitchen with a dinette area. A true 1940's Florida room off the kitchen has knotty pine ceiling and walls with lots of windows that look over the backyard. The home has plenty of natural light and is covered with the beautiful downtown urban foliage including a large Avocado tree in the back. A large deck for entertaining and a huge backyard with lots of room for a pool or expansion is one of this homes highlights in this highly desired Lake Como neighborhood. Listing courtesy of OneBlue Real Estate LLC. Selling Office: PREMIER REALTY PARTNERS INC.